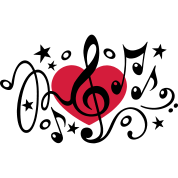 The BMC offers a special Valentine’s Day-themed musical salon Wednesday, February 13, at 7 p.m. This evening of sweetness and passion, deceit and heartbreak features works from many composers, and what better way to usher in this lovely holiday? Moby Pearson — violinist, ensemble coach, and orchestra conductor — invites you into his home in Brattleboro to enjoy a vast array of musical treats with other music lovers. Be prepared to pick up new musical perspectives along the way! Refreshments provided and the cost is $25 per person — but bring a special friend at no charge. Call the BMC at 802-257-4523 to register and for venue details.